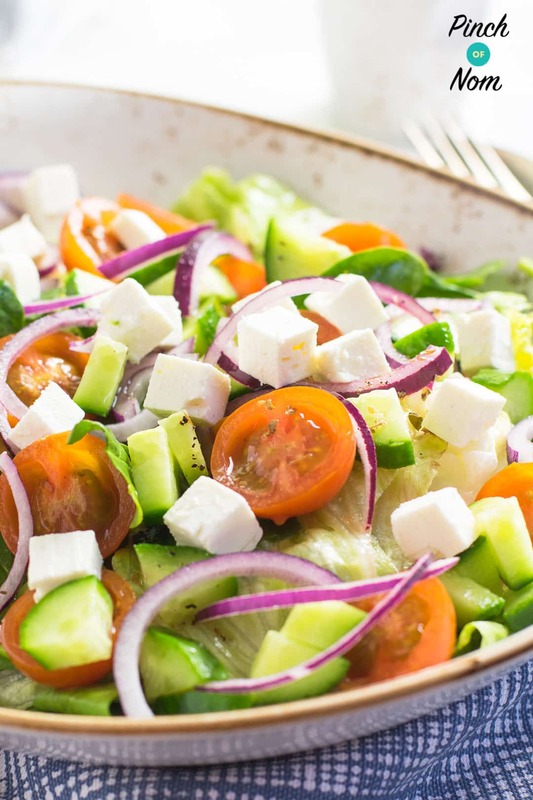 Nothing says summer quite like a fresh, crisp Greek Salad. 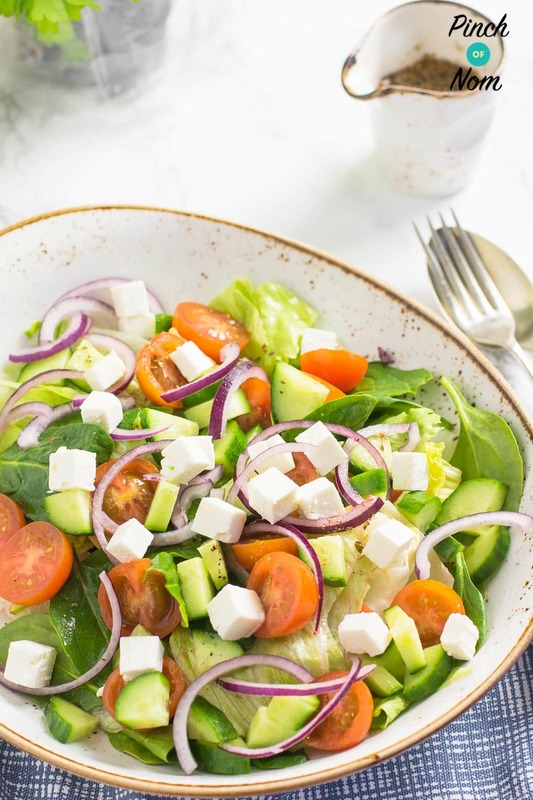 This Syn Free Greek Salad is perfect when you’re following the Slimming World Extra Easy plan. It’s also ideal on an SP day. Actually, I should say, we omitted the Olive Oil to keep it Syn free, and if I’m totally honest we left the Olives out because we can’t stand them! Feel free to add some if you like, but don’t forget to Syn them accordingly. Usually, salad dressings like this would be made with a mixture of Olive Oil and vinegar, but we’ve found that a pretty good substitute is the vinegar that you find in a jar of mixed pickled vegetables or pickled gherkins mixed with a bit of water. We use these Melis Mixed Pickled Vegetables from Asda. They’re sooooo nice! We get through at least a jar a week. 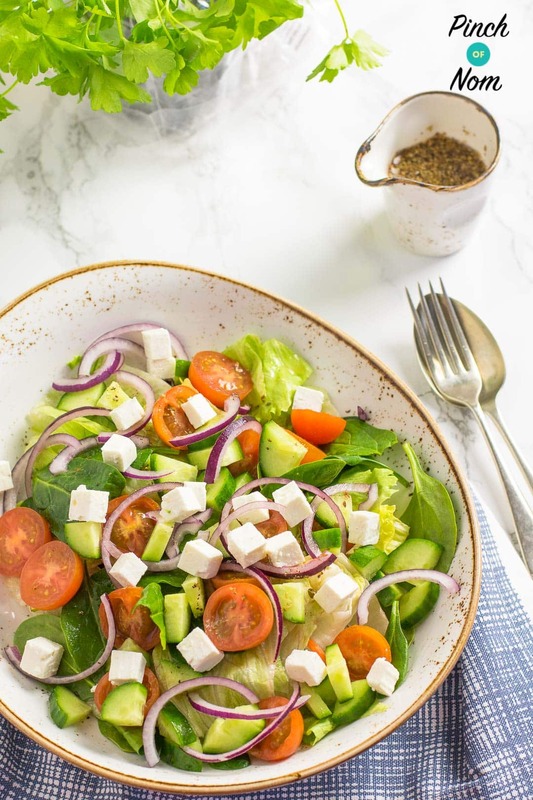 We’ve used mixed leaves for the basis of this Syn Free Greek Salad, but you can use whatever you like; Romaine, Iceberg or Kos would work just as well. After all, it ‘s the tomato, cucumber, red onion, feta and oregano flavoured dressing that makes a good Greek Salad. Why not try these with our Syn Free Greek Salad? 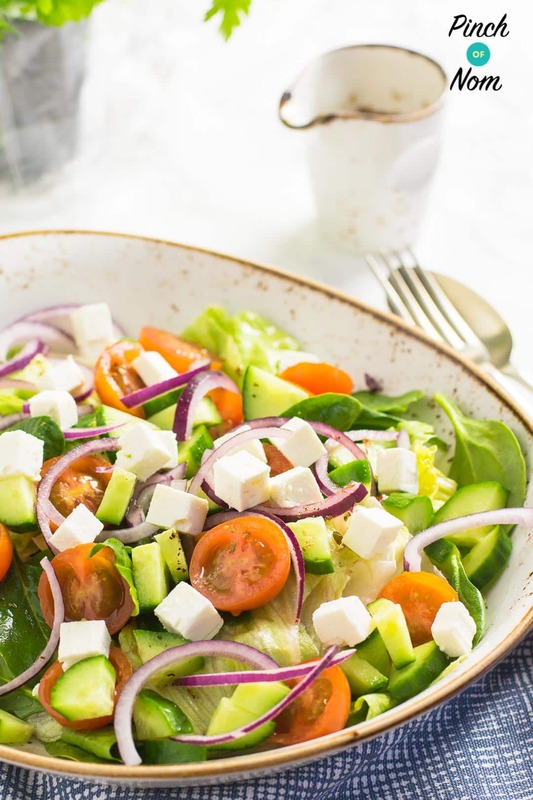 Want to save this Syn Free Greek Salad for later? Pin it to Pinterest! Can you use balsamic vinegar instead?